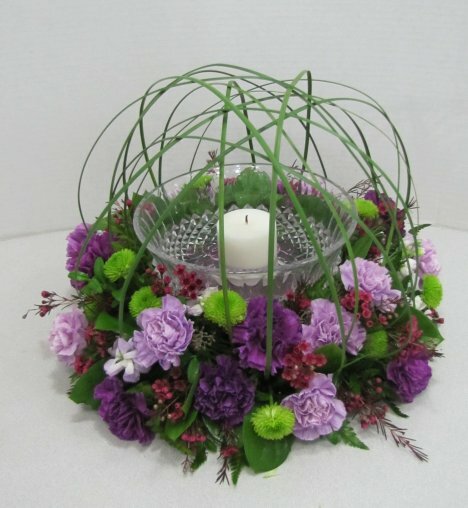 A wedding wreath can have an original look. 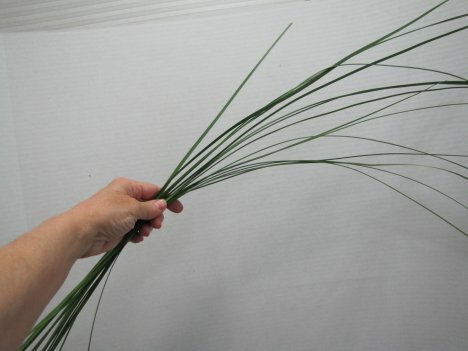 Consider adding an armature of steel grass. It is stiff enough to be bent, yet hold it's shape when each clean cut end is inserted into the foam. 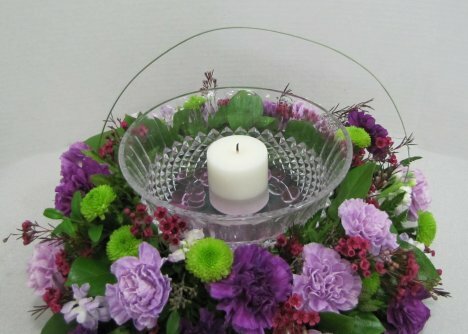 Start with one long steel grass blade is inserted into the wreath on the left, curved over the bowl and then the top of the blade inserted into the right side of the wedding wreath. 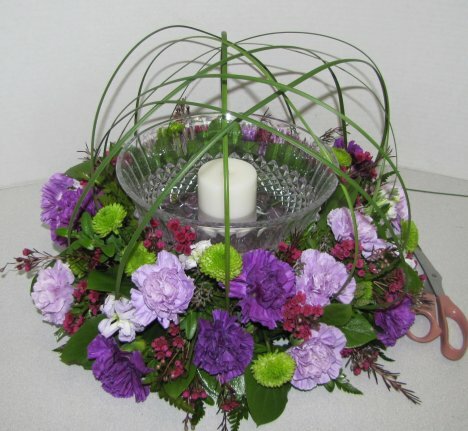 Keep turning the wreath, and repeating the arch of grass blades. 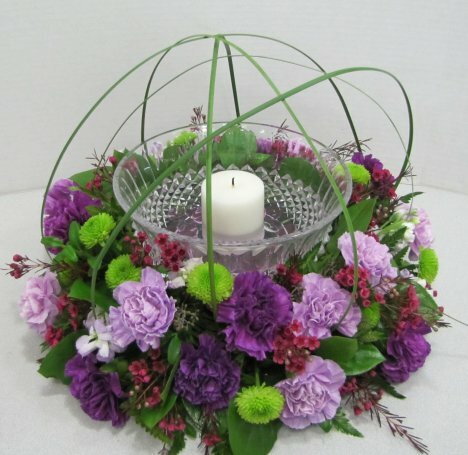 If you want a perfect dome, you'll have to have all the blades cut to uniform lengths and then insert the same place as you rotate around the wreath. 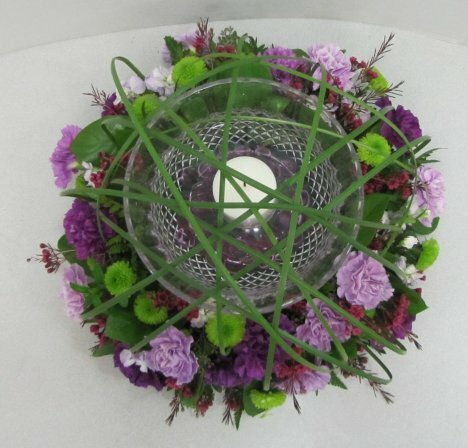 But it's kind of fun to just create "non-perfect" dome over the bowl. The candles can still be lit with a long "clicker" lighter.